With so many project management tools available online, it is evident that the need for such tools persists. It is central to the working of any business not only in IT. A startup tool named TWProject caters to the same need by allowing access to up-to date projects and tracking progress of the project. It also helps in keeping a tab on deadlines, worklogs and expenditure done on the project. The tool has excellent features to organize priorities and actions with innovative plan views to see your project take proper shape. 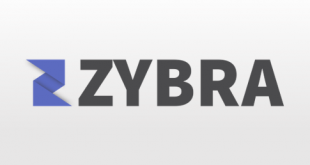 With a good mobile support available this tool is soon expected to give quite a competition to the established project management tools in the market. 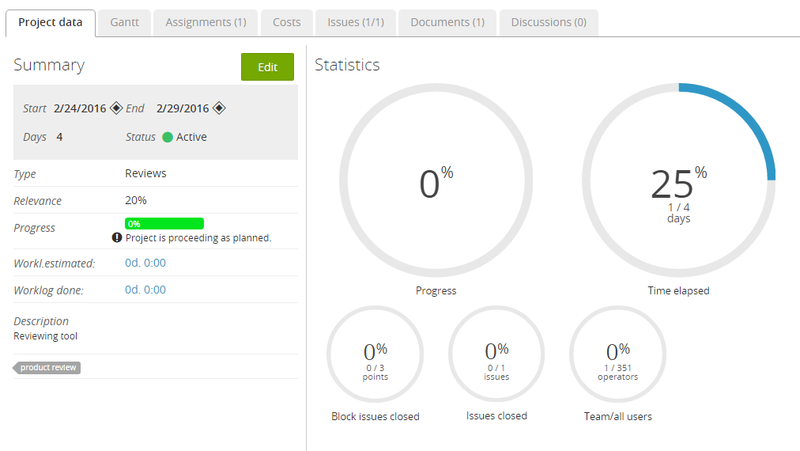 TWProject believe in keeping simple but detailed user interface so that keeping tabs on your project becomes easy. To create new project, initial details regarding the project like code, name, milestones, status, type, relevance, progress, description, assignments etc are required to be filled. The tool allows user to create tasks and subtasks within a project to formulate a step by step methodology to progress with the project. The same can be viewed in project tree/ Gantt view. The dashboard of TWProject is quite an innovative one. With graphical representation of status of operators, progress and time elapsed, it displays how much work needs to be done. It is highly centralized with all the options available at one placed and categorically demarcated. The system allows you to create workgroup where each member can be assigned a designation like manager, customer, worker etc. and the capabilities of the member is determined by these designations. 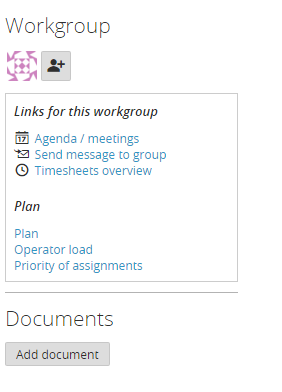 The option also allows to create agenda/meetings, to send messages to people in a workgroup and view timesheets. 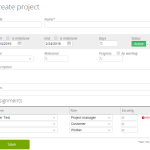 User can also set the plan for the project by setting operator load and priority with assignments. It also allows users to upload documents for the project. The Gantt editor lets you create subtasks to break your project into steps that can be easily accomplished. It provides a tabular view to quickly oversee the progress of the tasks. It also has the provision to add issues to any task that need further perusal. This pane is very helpful in viewing the project assignments in hand the direction of progress that is required. 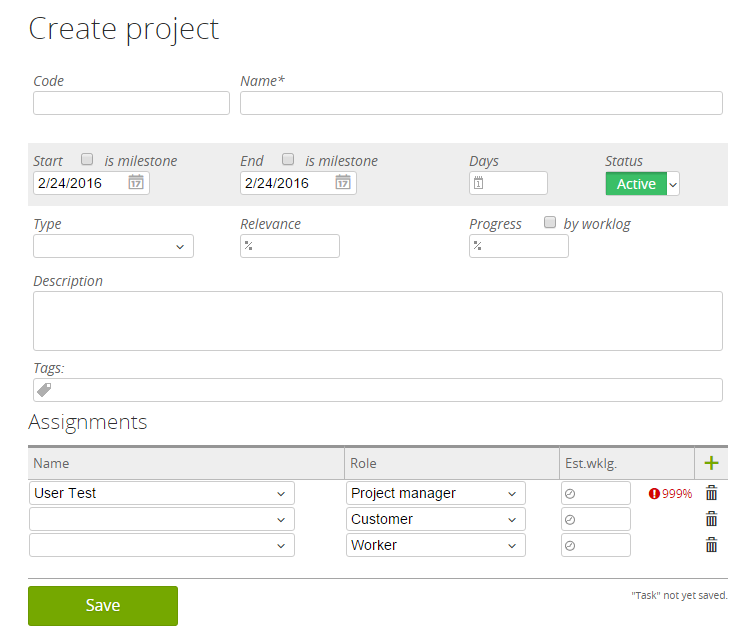 It is a great way to manage the worklog and displays the priority of assignments with the option to calculate hourly costs. While managing a project, costs becomes one of the main concerns. This option lets you keep a close eye on cost constraints by displaying work costs and any additional costs with the overview of planned costs to design and shape the project in such a manner that budget is not exceeded. It is an extremely handy tool. While building a project not all issues can be handled at once and sometimes due to haste one might forget about some of the issues which can prove fatal for the project. The issues tab helps in keeping these issues in mind before drawing a closing line on the project so it is ensured that the project does not contain any bugs and stands resolute on the expectations of the consumer. There is also an option available to add open issues and can be found under ‘Issues’ tab. The system allows you to view all the uploaded documents in a single pane to view your repository of supporting elements. It comes in handy when a project requires lot of documents to be uploaded and keeping a tab on them becomes necessary. What is a good collaboration without discussion? This option lets you view the discussions held between members to pick up the points and amendments discussed to shape the project with all the details. Tracking your project’s progress and tasks completed each day makes it easy to figure out the amount of efforts that you need to put in. Timesheets let you track where you stand on your project plan and what all activities have taken place. You cannot aim to complete a project without successful planning. 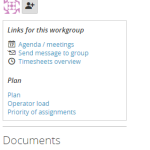 This option facilitates user to view the plan for project with remarks color coded. It is important to bear in mind the agendas of meetings between members and this option precisely does that. Viewers can see the agendas on the calendar format to observe the tasks that needs to be done. This system makes it utterly easy to track resources and view tools that the system provides. 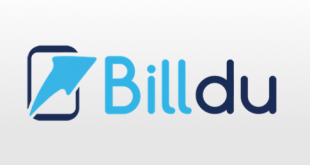 You can view boards and messages, documents, counters, lookups, file storages etc. 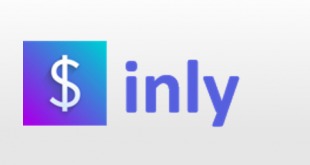 The system also provides additional functionality of importing and exporting files and printing, so that the user can also keep a hard copy of records for his project. The system provides filters as well to sort out projects, milestones, overdue tasks and many more.TWProject also provides excellent support to its users with short response time with detailed FAQ available to assist users. TWProject also provides facility to use this tool in browser just by downloding and running the installer. Provides active hints to make tasks easier. Popup notifications never let you miss an important notice. Cost estimate option is very handy and essential to project management. Multiple notifications popup for the same notice. Apart from discussions, active chat for collaboration can be a big asset in project management. TWProject provides amazing and extensive solution for project management on a very modest price. It provides some unique features like cost estimation and a detailed overview on how resources are being utilized. With the ability to set issues and import/export provisions, this tool embodies all the possible features that a top notch project management tool must possess.